We are so excited to be receiving this blog award! We appreciate all of the awards we are given and they make us so happy, because we know our followers are reading what we post and that they really like it! Thank you Gina! Gina's blog Anything Imaginable is awesome! If you haven't checked it out you definitely need to go there now and see for yourself how amazing it really it! 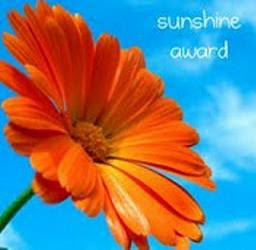 5) Share the love and link to the person you received this award from. Awww... congrats on the award, you guys deserve it. congrats on the award! thanks for passing on to me. i really appreciate it! thanks i didnt even know. posting soon!